The Coastal Act only recognizes four “ports” – Los Angeles, San Diego, Long Beach and Port Hueneme. NEWPORT BEACH — Spelling “Newport Beach” without the word “port” leaves you with, well, “New Beach.” The city of Newport Beach probably isn’t changing its name to New Beach anytime soon. Yet Newport Beach’s city leaders and lobbyists were unsuccessful in their attempts to convince the California Coastal Commission to re-classify the Central Orange County harbor as a port. The debate specifically centered around Assembly Bill 1196 (AB 1196), which was proposed by Assembly member Matthew Harper, R-Newport Beach, earlier this year. AB 1196 specifically sought to amend The Coastal Act of 1976 to create the Port of Newport Beach. Establishment of the “Port of Newport Beach” would have taken Newport Beach Harbor out of the Coastal Commission’s original permit jurisdiction. Commissioners did not support the proposal and voted on April 12 to oppose AB 1196. Newport Beach’s City Council retreated less than two weeks later, deciding to revisit the issue and figure out a new strategy. Sarah Christie, a legislative analyst with the California Coastal Commission, said the Coastal Act specifically lists and recognizes California’s four ports: San Diego, Long Beach, Los Angeles and Port Hueneme. These four ports are authorized to create “Port Master Plans;” each Part Master Plan functions similar to Local Coastal Programs, or LCPs. Chapter 8 of The Coastal Act specifically deals with California’s ports. Humboldt Bay Harbor is also treated the same as the ports of Los Angeles, San Diego, Long Beach and Port Hueneme under The Coastal Act. Port Master Plans, according to Christie, are used to help ports efficiently modernize, maintain and manage their activities without having to create new ports. Ports are distinctly different from municipal harbors, which are dedicated to recreational and lighter commercial activities, Christie added. San Francisco Bay Areas ports – specifically those in Benicia, Encinal, Oakland, Redwood City, Richmond and San Francisco – are, for all intents and purposes, treated the same as the four ports officially recognized under The Coastal Act. AB 1996 is sponsored by the city of Newport Beach. The city, through AB 1196, hoped to exert greater independent control over its harbor, particularly in management of harbor development projects surrounding docks, dredging and piers. Newport Beach, which achieved its own LCP status in 2017, effectively hoped to independently operate its own harbor like a port. The city’s push for independence management of its harbor waters was materialized in AB 1196. A Port Master Plan would essentially allow Newport Beach to operate independently and bypass Coastal Commission authority. City Council member Scott Peotter told commissioners a Port Master Plan, through AB 1196, would actually help Newport Beach update its harbor more efficiently. The harbor, he said, has aging infrastructure and needs to be modernized. Christie handily challenged Newport Beach’s efforts, stating the city’s harbor is, by definition, not a port. “The problem is, quite simply and sort of obviously, the city of Newport Beach’s municipal harbor is not a port,” Christie said. “For a municipal harbor to be managed under a port master plan, it’s the wrong suit of clothes for it. Port Master Plans are specifically required to give the highest priority use for port purposes, including but not limited to navigational facilities, shipping industries and those kinds of activities. Municipal governments should not be given independent authority over state waters, Christie stated. The major issue, Christie added, is a lack of clarity as to why Newport Beach wanted a Port Master Plan. “We don’t have a lot of clarity on … what they’re trying to achieve with this bill,” Christie said. Executive Director Jack Ainsworth echoed Christie’s analysis, stating The Coastal Act does not support Newport Beach’s position. “Newport [Beach] just simply is not a harbor within the meaning of The Coastal Act. There are other mechanisms to improve efficiency here,” Ainsworth said, adding Newport Beach could achieve its goals through a Public Works Plan or a Master CDP. Commissioners voted, 9-3, to oppose AB 1196. – Analyze benefits of Public Works Plan or Master CDP. Council members ultimately voted to revisit its ambitions for a Port Master Plan and pursue the issue at a later time. Delaying the process would allow the city to gather more input from the community and perhaps figure out the best path to realize its goals, Councilmember Diane Dixon said. Your story misleading and sends the wrong message. Of course Newport Harbor is not a Port. Proposed AB 1196 would designate it one, if approved. The Coastal Commission did not vote on an action. Why would the City of Newport Beach want to have Newport Harbor designated as a Port? The reasons were stated at prior Newport Beach City Council hearings and are part of the public record. Currently, the City first processes and approves an application (an example given was dock repair and maintenance) then forwards the City approved application to the Coastal Commission for their review and approval. This process cost the applicant lots of money and due to the permit processing backup at the Coastal Commission, months to obtain approval. Not only does the cost and permit timeline discourage applicants from filing applications for needed repairs and maintenance, but the lack of maintenance impacts the environment, the City’s image and tourism revenue. 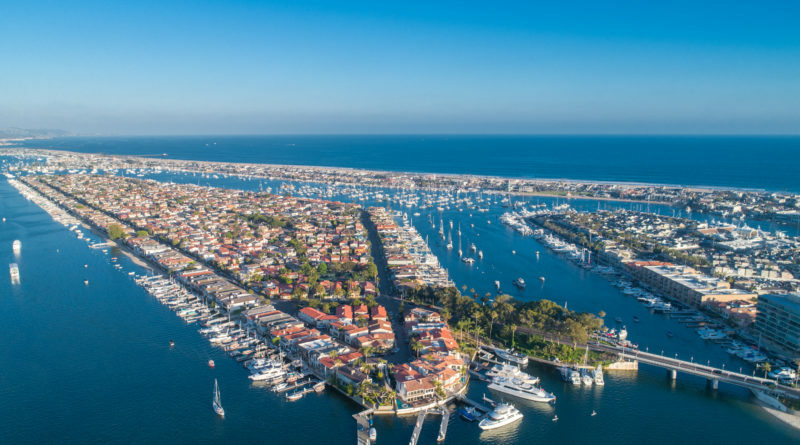 By having Newport Harbor designated a Port the City hopes to take over these routine responsibilities from the Coastal Commission subject to Coastal Commission rules with any action(s) taken by the City appeal-able to the Coastal Commission. These routine actions are identified in a Port Master Plan approved by the Coastal Commission in a similar process to a Local Coastal Plan. Why would the City want to take on this responsibility? The City believes it can process these routine permits faster and cheaper than the Coastal Commission is. Who approves the Port Master Plan? The Coastal Commission does similar to a Local Coastal Plan. The Port Master Plan would be approved subject to the terms and conditions of the Coastal Commission. It is as if the City is taking two Coastal Commission staff and having them work only for the City. Historically, the Coastal Commission backlog led to the adoption of Local Coastal Plans. This is another step in the evolution of the role of the Coastal Commission. Should the Coastal Commission have concerns? Yes, justifiably so. A trusted working relationship has developed between local coastal governments and the state Coastal Commission. The transfer of responsibility from the state Coastal Commission to local governments under the control of the state Coastal Commission will allow our tax dollars to be better used by the Coastal Commission while benefiting the City of Newport. Is passage of AB 1196 the correct path to accomplish the City’s objectives? Current regulations do not allow the City to take over these routine repair and maintenance activities. For example, this type of repair and routine maintenance cannot be added to the approved Local Coastal Plan. This is what the City and Coastal Commission will be working on. Various alternatives are being discussed. Let’s wait and see what is worked out.